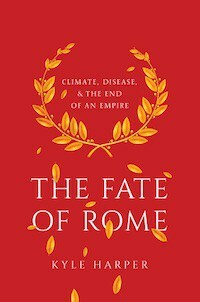 Don’t know when I’ll get to Kyle Harper’s book, The Fate of Rome: Climate, Disease, and the End of an Empire, but it looks very interesting (Patrick Wyman interviewed him for his podcast). One thing though: climate always changes. It’s how organisms react to that change and why that is perhaps more informative. The way the Roman political order reacted the way it did to the exogenous environmental shocks had more to do with the nature of the Roman political order than the sui generis character of the shocks (they were going to happen….). If you haven’t subscribed to my podcast with Spencer Wells, The Insight, you should (so far it’s on iTunes, Google Play and Stitcher). We’re coming out with episodes every week now. 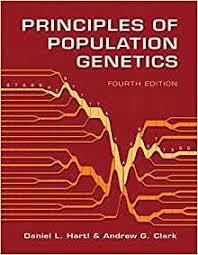 The next one will include Spencer’s recollections of the Paleolithic period of personal genomics, before 2005. We’re also recording a podcast with Gencove’s Joe Pickrell on ancestry testing this week. 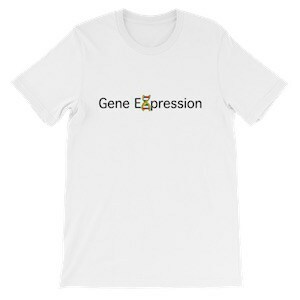 DNA Geeks has more Gene Expression themed gear now, including a redesigned “Are you genotyped” shirt. An Ethnolinguistic and Genetic Perspective on the Origins of the Dravidian-Speaking Brahui in Pakistan. Have not read. Though I anticipated the conclusion over 5 years ago. I contribute regularly to the Insitome Blog. So, No genetic test will tell you if you are Hispanic or Latino, was written after watching days of DNA-test reveals on YouTube. There’s a lot of education that needs to be done! As the Regional Ancestry product rolls out results expect many more blog posts (and probably explainers in podcast/video format at some point). The convergences between the racialist Right and the identity politics Left have always been sad. But now that both are the waxing it’s quite sinister. For example, both would agree that science is Eurocentric in some deep way. And, both pay close attention to marriages which are racially mixed to draw broader lessons. How genetics is unlocking the secrets of ancient human migration. On the Scandinavian hunter-gatherers. Based on what I’ve seen with the formal analyses done by David (and my own dabbling with d-stats, nMonte in conjunction with PCA, and nMonte in conjunction with Fst-based PCoA), the Brahui are essentially living evidence for a Dravidian-related IVC. In support of this, I would note that they seem to have the highest levels of Iran_N and Iran_Chal, when looking at the general nexus of eastern West Asia/southern Central Asia/northern South Asia. In fact, the tribal Baloch highlanders are essentially Brahui + minor recent West Asian/Southwest Asian admixture (courtesy of West Iranic-speaking ancestors, and perhaps also linkages with the Arabian peninsula) + even more minor recent northern South Asian admixture. The whole southeastern Iran (Bandari Iranians, the ones with minimal African admixture, come to mind)/far southern Afghanistan/southwestern Pakistan region is home to populations that can be construed as the “Sardinians of South Asia” (what I mean is, these southern groups are the most Iran_N and Iran_Chal-enriched populations around today, similar to how Sardinians are the closest living populations to EEF/Neolithic Anatolians). Regardless, if anyone is interested, I can post some models. Although, I am rather tired of using Iran_N, Iran_Chl, and Steppe_EMBA/Srubna_outlier. Instead, I am patiently looking forward to analyses based upon IVC, BMAC, and Gandhara Grave Culture aDNA. With that being said, it almost feels as if the big paper isn’t going to be released during my lifetime (I joke, but the pain is real, lol). It’s a really good book, especially on the Plague of Justinian (and some very interesting stuff on the Antonine Plague). He points out the interaction between the changing climate and the spread of disease really well in the Late Antiquity setting. Also, Yersinia Pestis was pretty horrible even as far as pandemic diseases go. That always makes me think that the Europeans (and other denizens of the Old World) really dodged a bullet with the Columbian Exchange – imagine if the New World had one or two diseases that bad with no built-up immunity among Old World folks that spread east across the Atlantic. Even if Old World people had a greater overall resistance to disease from millennia of getting hit by epidemics, it would have been another Black Death-level disaster only 150 years after the actual IRL Black Death. I’ve subscribed to your podcast. I always need more good podcasts – I spend a lot of time driving to and from work, and I listen my way through tons of them. Bingo. 100% And the same is true today. The mother problem is creating a healthy political order, preferably one that is “Anti-Fragile”. Everything else follows. There is always climate, there is always weather, there is always epidemics, there is always enemies. It is how you respond to these challenges that determines the outcome. I still remain cautious on accepting they are a relic population, partly due to the linguistic argument (no evidence for Avestan ad stratum) and just the low likelyhood of them preserving their Dravidian speech despite thousands of years of Indo-Iranian regional dominance. This is true, but incomplete. A genetic test will tell you if you are mestizo, and due to the vagaries and imprecision of language, not everyone uses the word “Hispanic or Latino” in the sense that it is defined by the U.S. Census Bureau. Many people instead use these terms in a technically imprecise but widely understood “racial” sense of someone who is mestizo, which is the predominant ancestral heritage of people who describe themselves as “Hispanic or Latino” in much of the U.S.
for a test geared toward americans there is no way u should/can assume mixed native/european = latin american. i think karlin is right that animals is where we’ll go next. i think technological ability will probability enable it, as historically many have been discomfited by harm to animals. this is an old axial age trend. vegetarianism is well known in india, but some greeks and even essene jews adopted it. Witzel – who does not believe IVC was Dravidian – nonetheless does state that Dravidian can be found from mid RigVedic times, when the Vedic Aryans were in Punjab. So Dravidian as at one time found further north than Sindh. Dravidian place names could have just vanished or may not be discernible by linguists. That being said, I lean towards Brahui being a post Vedic era migration, and not a relic, from somewhere in Northern or North Central India. This simply isn’t true as even a cursory review of the literature would have revealed. At least half a dozen papers or books by reputable academics say otherwise for four or five independent reasons. There is substantial linguistic evidence to support a Brahui ethnogenesis after 1000 CE and the origin myth of the people supports just such a conclusion. They cite to no real linguistic or historical or anthropological evidence to back their position. A honest paper that deserved to pass peer review would have acknowledged that this linguistic and oral history evidence existed rather than flatly denying that anyone had ever looked into this issue before they did. Their population genetic analysis showing that the modern Brahui have population genetics indistinguishable from their neighbors is all good and well, although it doesn’t tell us anything that wasn’t widely known or at least widely assumed before this paper came out. But, their conclusion, which does deviate significantly from conventional wisdom, has no evidence to back it up other than ignoring other work in the field by anthropologists and historical linguists, which really undermines their credibility more broadly. As to the specific point you raise. Witzel’s conclusion is that Dravidian loans do not appear in the Rig Veda until Indo-Aryan had expanded beyond the Punjab, so it doesn’t follow that it was once further North than the Sindh. Also Dravidian contributions about 1/10th as many words even then, relative to a lost substrate language that appears in the early Rig Veda. He does state there is Dravidian linguistic presence “in the Punjab”. The COO of Twitter jumped to SoFi. Is he a rat? Is Twitter a sinking ship? Been pondering on why the Brahui exhibit less South Asian than the Balochi; I have a hunch. After the Baloch left Aleppo and entered South Asia, they started to mix with the Brahui, leading to the elevated South-West Asian genetic affinity among the Brahui and consequently lower South Asian genetic affinity. Over the centuries the Baloch mixed with other South Asian groups, more so than the Brahui did, because the Brahui were more isolated from other South Asians. There are a lot of Baloch in Sindh. So while the Brahui lost their South Asianess, the Baloch gained South Asianess and kept gaining, such that the South Asian admixture in the Baloch overtook the diluted South Asian admixture in the Brahui. Because the Brahui are more isolated (culturally and geographically) from the epicenter of the Indic and Pashtun masses than the Baloch. Being just a layman, as far as the science of genetics is concerned, any critique of this hunch? Or is this a question that genetics can’t answer right now, at least not until we have Brahui DNA that is many centuries old? It could also be that the Brahui got some admixture from the Arabian peninsula. Historically people from Balochistan have settled in Arabia, so there had be some gene flow the other way also.